Posted in Blog Hops, Books, Search for Camelot, Sneak Peek Sunday - 6-Paragraph Excerpts! 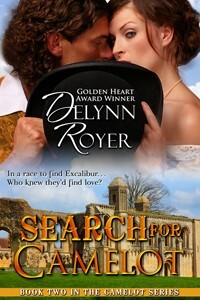 | Tagged books, Camelot, Delynn Royer, Excalibur, light historical romance, romantic comedy, Search for Camelot, Sneak Peek Sunday - 6-Paragraph Excerpts! Again, you have swept me into the story and made me want to know more. The thought of Excalibur being real– what a story!